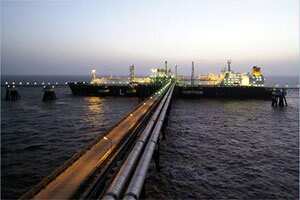 Petronet LNG Dahej terminal. File photo. New Delhi: The government is seeking an extra three million tonnes of liquefied natural gas (LNG) per year from Qatar for its Dahej plant and Dabhol project under long-term contracts, an industry source said on Friday. “We want supplies to begin from 2013 in long-term deals of 20-25 years. Spot and short-term contracts we can manage," the source said on condition of anonymity. The Dahej plant, operated by state-owned Petronet LNG, has capacity for 10 million tonnes per year and this should rise to 15 million tonnes per year by end-2015. The Dabhol LNG terminal should be commissioned by March and will have capacity of 5 million tonnes per year. It will be operated by a venture of state-owned companies GAIL India and NTPC. The country’s economy, growing at around 8% per year, relies heavily on imports for its energy needs. According to BP’s Energy Outlook 2030, India’s daily gas consumption in 2010 was estimated at 6.1 billion cubic feet (bcf) and is expected to exceed 15 bcf in 2030. LNG currently accounts for a tiny amount of the country’s energy needs, most of which are met by coal with oil covering about a quarter of demand -- making the country Asia’s third-largest oil importer. Its LNG import capacity should reach 47.5 million tonnes a year (mtpa) in 2015-16 from 13.5 mtpa currently as it seeks to diversify its import needs. Petroleum and natural gas minister S. Jaipal Reddy said India had asked Qatar for extra LNG supplies but did not specify quantities. “We did seek more supplies of both gas and oil. Discussions are going on. So far, they have been very favourable on cost," Reddy told reporters after meeting Qatar’s oil minister, Mohammed al-Sada, here. A government statement issued after the meeting said Qatar offered to supply liquefied petroleum gas and oil condensate to India. India wants to secure long-term LNG deals to help cushion against global price volatility and to secure energy supply as it relies on imports for over 80% of oil needs. Gas accounts for about 10% of India’s primary energy basket versus the world average of 24%. Industry executives have warned skyrocketing prices of LNG at above $16 per million British thermal units could soon cut into demand growth and delay import infrastructure projects in India and other Asian countries. The visiting minister also said Qatar Petroleum International is considering buying the Asian Development Bank’s 5.2% stake in Petronet LNG.